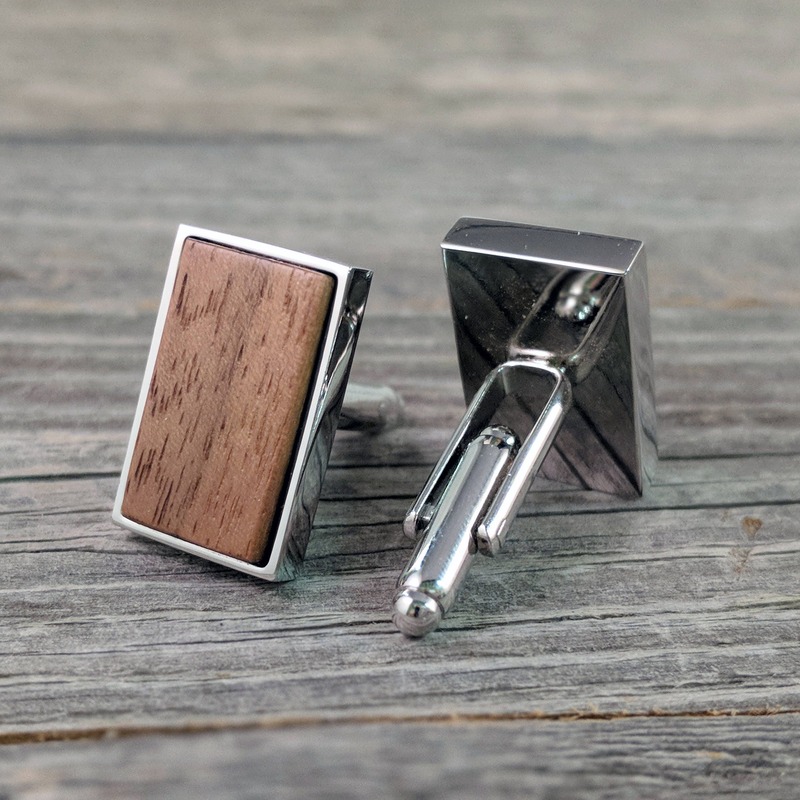 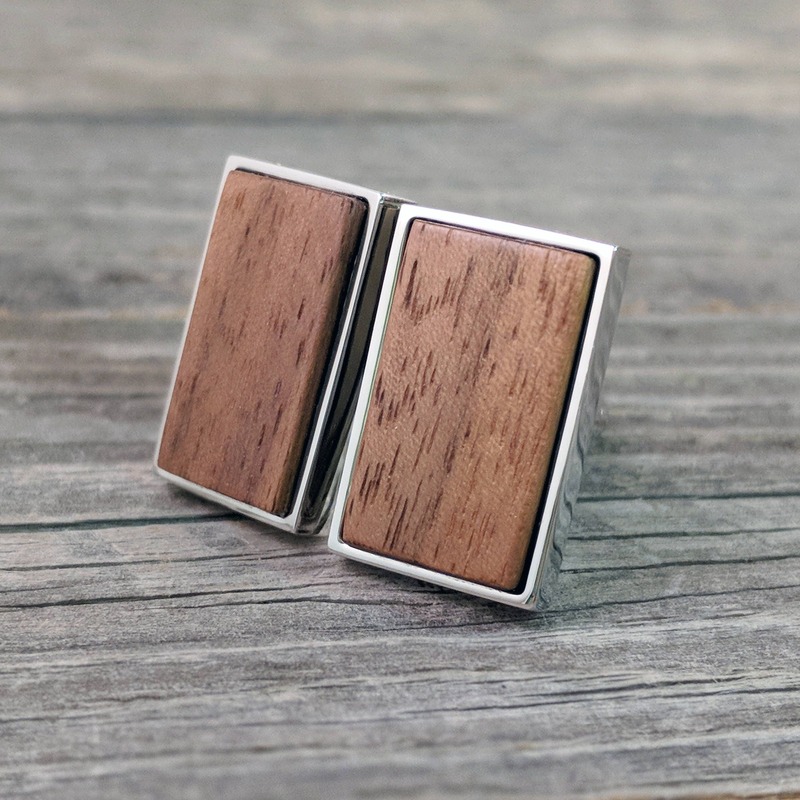 American Black Walnut Wood Cufflinks in Silver Bezel - Excellent Wedding Gift! 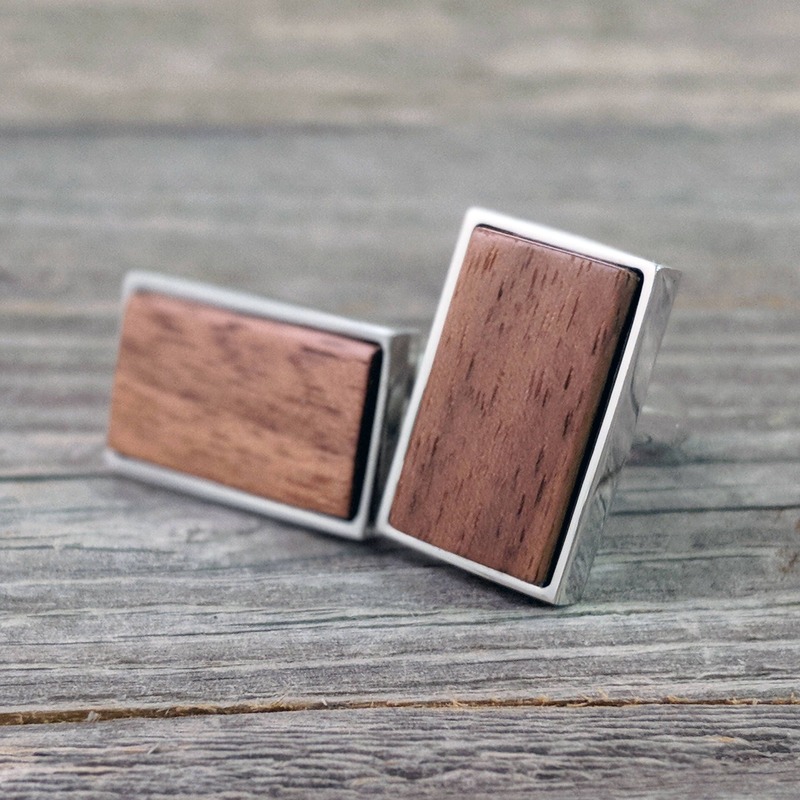 The rich, warm tones of the chocolate-hued walnut contrast handsomely against the silver bezels. 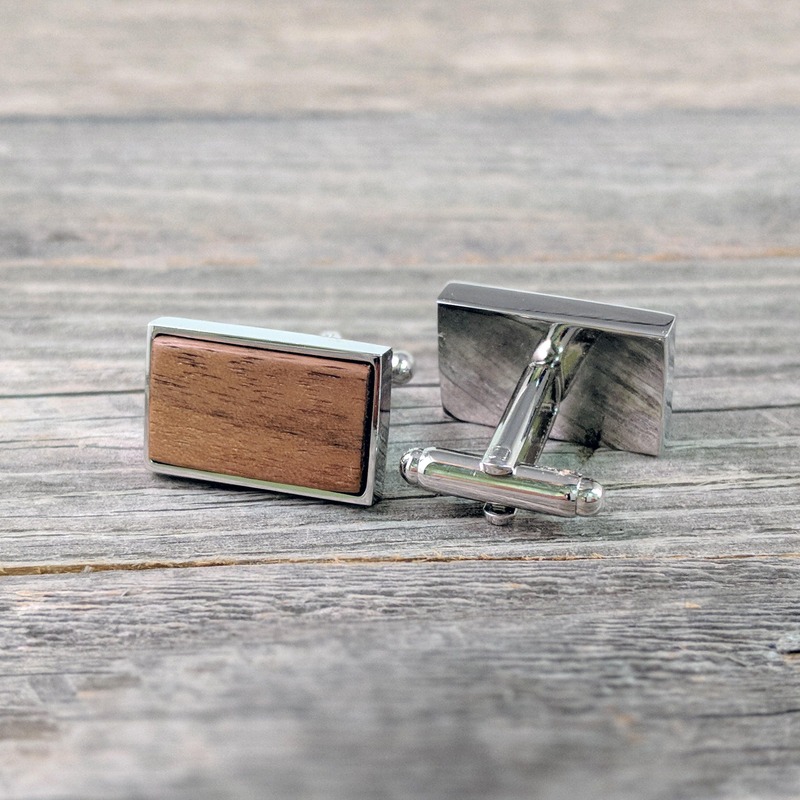 These stately cufflinks will add a touch of subdued class to your attire.